Some people want a larger residence. Some want a very large house. Some need a lot of space. Mansion architecture by Rand Soellner Architect. (C)Copyright 2005-2010 Rand Soellner, All Rights Reserved Worldwide. HOME ARCHITECTS ® designs quite a few large houses. Among other things, they have a specialty in mansion architecture. 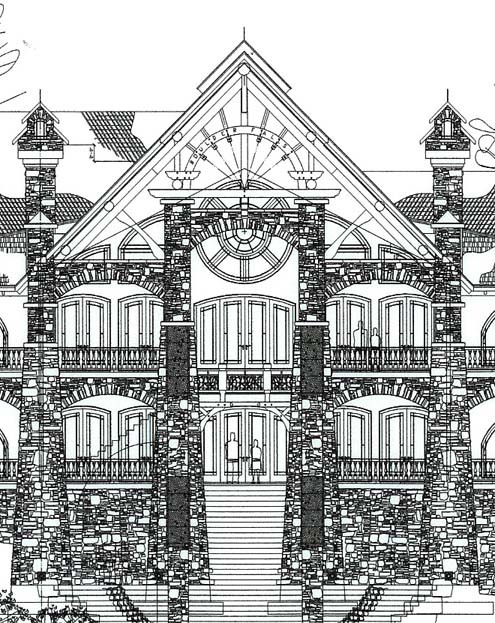 The company’s mansion architecture is extraordinary, ranging from castles to mountain estate houses to family legacy villages. Their Senior Staff Architect used to design very large commercial projects and developed a strong capability to deal with large, complex facilities. The mansion architecture of Rand Soellner Architect. (C)Copyright 2005-2010 Rand Soellner, All Rights Reserved Worldwide. If you are looking for an architect that knows how to handle substantial project requirements, but it is a house you are interested in having designed, Rand Soellner may be one of your candidates. Mansion architecture is in his blood. Even his family estate dating back to the 1600’s in Bavaria was a large assemblage of buildings. 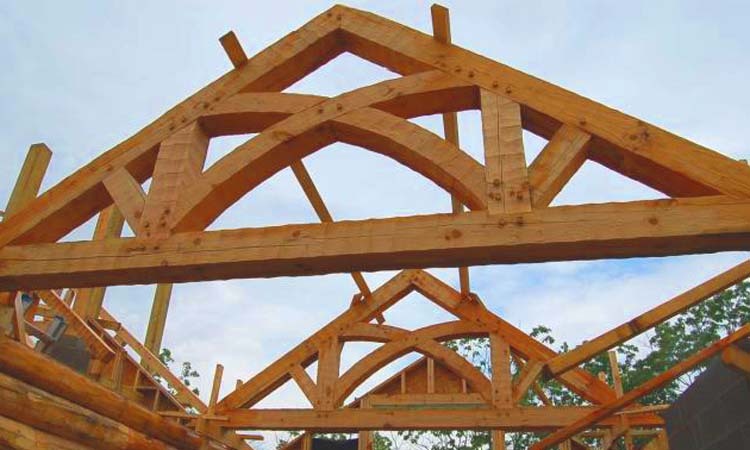 The mansion architecture of Rand Soellner shown here with timber trusses of Soellner’s design. (C)Copyright 2009 Rand Soellner, All Rights Reserved Worldwide. Mansion architecture is a combination of ideas. Mansion architecture is a combination of the “Grand Idea”, the concept that pulls it all together, and then there are the details. Both of these must work seamlessly together, each reinforcing the other to result in a cohesive whole. 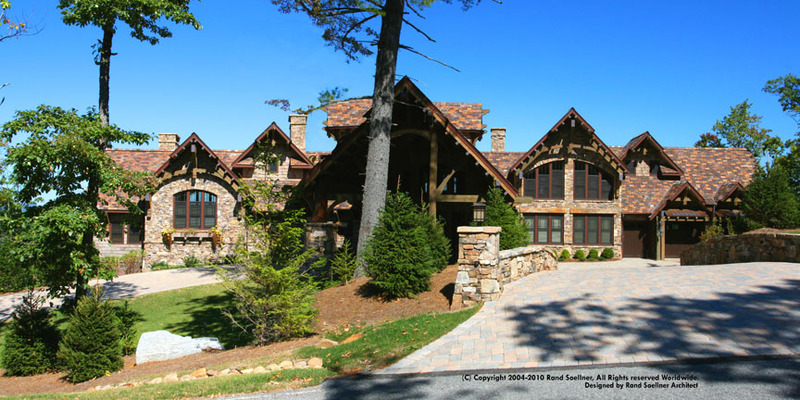 The project above illustrates some of the company’s rustic mansion architecture just being completed in the Smoky Mountains of Tennessee. The Big idea here is the view: of the mountains across the valley and to those in the distance. “God is in the details,” is the phrase coined by mid-2oth century German architect Mies Van Der Rohe. Soellner was taught by some architects who studied those principles religiously. For instance, the timber trusses above embody the strength of the massive house that they help support, yet they have openings in them to admit light and views of the sky. Mansion architecture is about the big idea. It is also about the details that support it.